Happy new year everyone. With a simple transition from Monday to Tuesday, the falling ball of fate has been triggered and it’s time for the yearly TWE Blog round-up of the year. While 2018 has been “interesting” for many reasons, in the whisky world things have rolled on as usual. 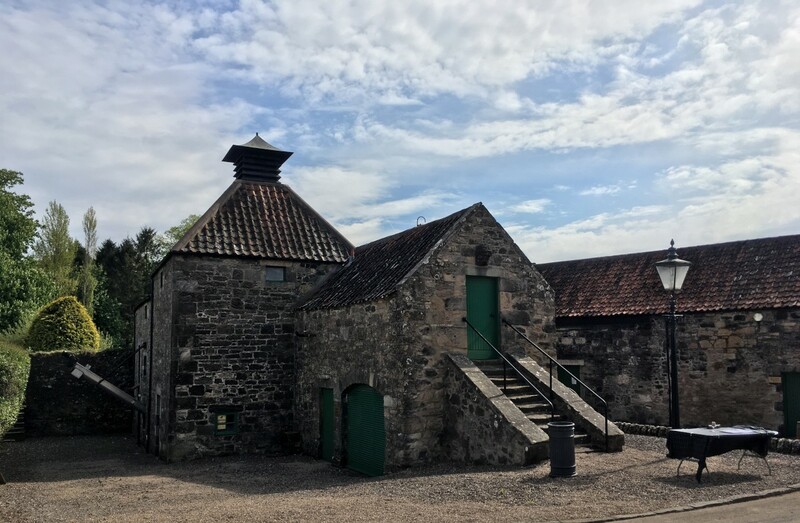 Macallan opened its shiny new distillery, Jura, Glenrothes and Old Pulteney relaunched their entire ranges, our friends at Elixir Distillers announced their plans to build a distillery and Daftmill *finally* released a whisky. Here at The Whisky Exchange, we had a lot of exclusives – more than 30 according to my big spreadsheet. We’ve had everything from rich and dark sherry-matured Old Pulteney and a 2000-vintage Caroni (both now long gone) to an incredible 1973 Speysider and Mount Gay’s first-ever exclusive bottling. Our second Black Friday whisky sold out in an hour and the final bottle of our Christmas Malt was bought, appropriately, on Christmas Eve. You can find all of our current releases over on our Exclusive to The Whisky Exchange page. But it’s not all been about Scotch whisky. With a pair of exclusive American whiskies, another brace from New Zealand and a veritable polo team of Irish drams landing on our (virtual and physical) shelves through the year, there was some very tasty whisky from overseas – you can find them all on our Exclusive World Whiskies page. When the winner of our Whisky of the Year turned out to be a whiskey – congratulations Michter’s Sour Mash from the USA – we weren’t entirely surprised: it’s been a year for great whiskies from around the world. Outside of the whisky world, rum dominated our Spirit of the Year shortlist – four of the eight-strong line-up were rums – and came out on top: a well-deserved win for Doorly’s 12 Year Old from Foursquare. 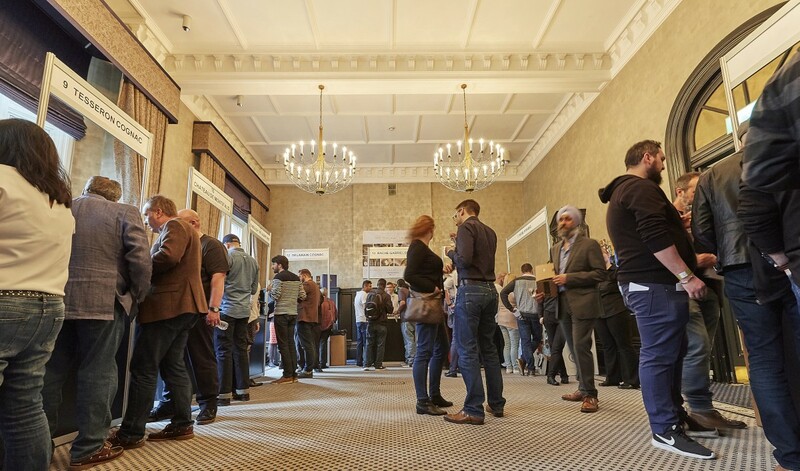 We even had a rum zone at The Whisky Show – it’ll be back at The Whisky Show 2019 – with wide-eyed converts streaming out all day, minds blown by how interesting rum can be. However, the first half year was all about Cognac for us, both in the company in general and here on the blog. We spent the first few months of 2018 brushing up on our boiled wine skills, with a Beginner’s Guide, a How to Drink Cognac post, and breakdowns of the major players – The Big Four and The Not-Quite-So-Big Three. This all led up to one of our first new things of the year: The Cognac Show. We thoroughly enjoyed sharing our love of France’s most famous spirit, enough so that we’re back again in 2019 – 26 and 27 April. It seems that we weren’t the only ones who liked the show, as we picked up The Drinks Business award for Best Drinks Event 2018. Which was nice. We finished the year with The Champagne Show, again pushing our boundaries way beyond the world of whisky. An evening of fizz at the Oxo Tower overlooking the river Thames was always going to be a top night out, and it didn’t disappoint. Dates for the 2019 show are still being wrangled, but sign up to the mailing list and you’ll be the first to here when tickets go on sale. Over here on the blog we’ve been busy. We’ve done beginner’s guides to absinthe, vermouth, the world of aromatised wines, vintage Champagne, infinity bottles and even competitive picnicking. Newest addition to the team, Tom, survived his first Whisky Show, Caroline got to meet the man behind Johnnie Walker, and I found out I was wrong about sherry solera casks. Our April Fools’ Day post did some fooling, with one prominent Facebook bartenders group taken in for a surprisingly long time by our £10,000 a bottle Park Royal gin. 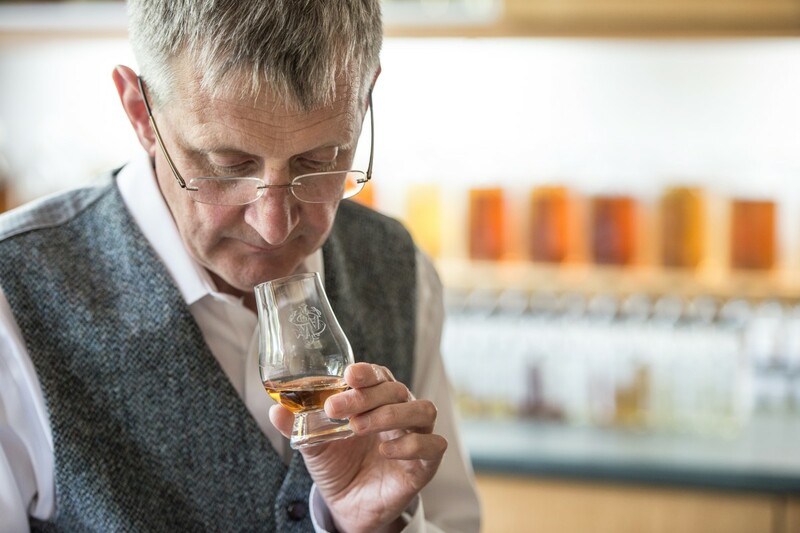 As ever, our most popular post of the year was due to Jim Murray, master of The Whisky Bible and judger of all things whisky. His list of winners emphasised again how good American whiskey is these days, although he did sneak in a nod to one of our favourites closer to home – congratulations to The English Whisky Company for its European Whisky of the Year award for The Norfolk Farmers. We’re only on day one and already 2019 is looking to be busy. We’ve got The Whisky Show: Old & Rare in Glasgow in eight weeks – make sure you grab your tickets if you’ve not got them yet – a Royal Lochnagar ballot on behalf of the Prince’s Foundation live now, and we’ll be getting loads of great new releases up on the website over the coming months. As ever, if there’s anything you want us to write about, let us know. But for now, thanks for reading and see you all, at least virtually, in the new year. This year I have mostly been listening to the songs of Elvis Costello.